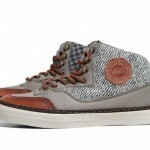 Today we present the newly released footwear collaboration between Vans Vault and Harris Tweed for Fall/Winter 2012. 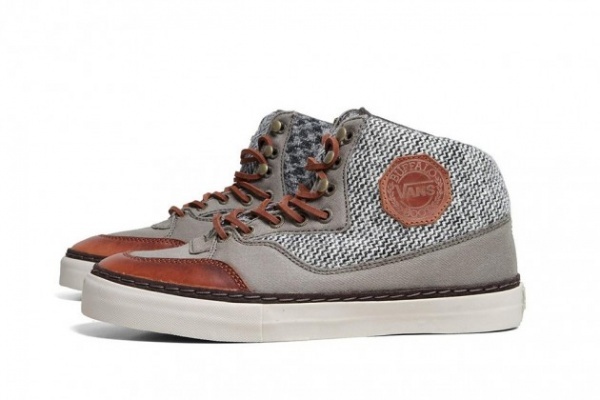 Beyond just taking the famed Harris Tweed and rendering their sneakers in the fabric, Vans elected to scout out some unique patterns from the brands extensive archive and combine then with beautiful leather for a unique take on their streetwear silhouettes. The collaboration pack includes the Vans Buffalo Boot LX, Era LX and Old Skool LX. All three shoes are now in stock at End Clothing Co.